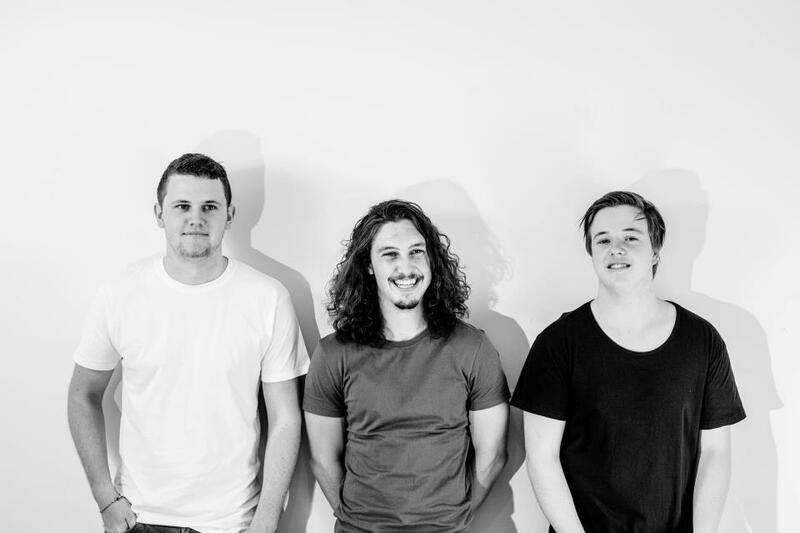 Canberra trio SAFIA have had a huge year so far. Playing to sell out shows around Australia for the launch of their single, Paranoia, Ghosts & Other Sounds, they’ll soon be touring with New Zealand’s pop queen Lorde on her upcoming Australian tour. Their indie electronic sounds have enthralled audiences and radio listeners alike, and they’re picking up momentum every day. We chatted to Ben Woolner about the year so far and what we can expect from SAFIA in the coming months. So first up, could you tell me a bit about the name – where does the name SAFIA come from? It’s nothing special to be honest; I wish it was a funnier story. It’s just an adaptation of a song we wrote called Sapphire – we changed the name around. We later found out it’s an Arabic female name which we found out when we started getting heaps of Facebook ‘likes’ and messages from the Middle East. How did the band come to be originally? We all went to school together from about year 6. We played in a bunch of bands together before we decided to do something a bit different and started to get into electronic music. The band started to get going, and soon we had SAFIA. We try not to give ourselves too many boundaries. There’s definitely electronic, but there are also influences of rock, pop and R&B. Can you remember what and where your first ever gig was? We did this little acoustic thing, we played a song and shot a video for YouTube, about two years ago. We did the video at a bar where the owner said, “Hey do you want to do a gig and launch this thing?” And I was like “yeah, alright,” but I didn’t want to do it by myself in front of the other boys. So we got a bunch of songs and wrote them quickly together. We had a little synthesiser and drum pad and we played a bunch of those songs for the gig. There was one song that was almost a reggae version of what Stretched and Faded became. So we thought, do we want to try and record and produce one of these songs? The first one we wrote was Stretched and Faded and we put it up on triple J Unearthed, and it kind of went from there. Have you found the triple J route effective? Definitely, it’s pretty much the reason we are able to do the things that we do. Without that we wouldn’t be touring Australia playing to people every night. So we put it up on Unearthed and it just sat there for a while, then we got a little bit of feedback. It wasn’t anything too big. It was from the music director of Unearthed, and we saw it and we just thought maybe we could do something with this. From then on it was family, community and independent stations – they’re the ones that play our music, so without them it wouldn’t have worked. You’re from the capital, Canberra – what is the Canberra music scene like? It’s small but very good. It’s a good community, it’s definitely improved since we were younger. You can definitely name a whole handful of bands that are doing things nationally and internationally from Canberra now which is cool, which you used to not be able to do. You used to be able to say ‘oh Perth, I can name all the bands from there’ like Birds of Tokyo, Karnivool, John Butler trio and the list goes on. And you never used to be able to do it with Canberra. But now there is a whole bunch of acts. It’s definitely not going to stop us from making it. Would you ever consider moving away for bigger opportunities? Yes and no. At the moment it’s very convenient for touring because we’re in between Sydney and Melbourne so it’s quite an easy transit everywhere. But I guess it’d be really cool some day to go overseas and get a different perspective. How are you finding your first national tour? Is it what you expected it to be? Yeah it’s amazing. Probably more than I was expecting. We thought we might get a fair few people at some of the shows but to be selling out this many shows on our first tour is crazy. I didn’t think we’d sell out two Melbourne shows, let alone one. Are you excited about touring with Lorde when she comes to Australia? It’s going to be crazy. We’re doing a whole bunch of club shows to 250 people currently, but with Lorde it will be about 5 – 10 000 people. It’ll be a whole new audience, there’ll be a lot of younger kids there. So we’re going to try and win over a bunch of people. It’s going to be insane. Where to from here? Is an album on its way? We’re always writing songs, compiling for an album but not yet a specific release. But we’ve got a bunch of singles coming and then we’ll look at doing an album sooner rather than later. Yeah I can’t wait for that. What’s been your favourite music, especially Australian music so far this year? I don’t like to listen to anything specific to be honest, so it’s a bit hard. Actually one of my favourites though is the [support] band that we touring with called Akouo. We’ve become really big fans of all our supports, especially since we hear their live shows every night. Do you have any main influences in music, and do you get your inspiration for your songs from something or someone? Not really, we kind of try and avoid the whole, hearing a song and thinking, ‘damn I want to write a song like that’; we don’t want to fall into a trap like that. We’re inspired by a lot of things, but then we come up with something original. We grab our influences from everywhere, we’re not necessarily just from electronic music – we listen to everything. What would be the ultimate goal you could achieve in music? I think being able to travel the whole world playing music would be incredible. Having people come to our shows from pretty much everywhere would probably be the ultimate dream.